Eye infections are a common ailment because many bacteria, viruses and fungi that are able to attack and infect the body can also infect the eyes. Depending on the cause of the infection and which part of the eye is infected, an eye infection can range from being mild and self-resolving to severe and sight-threatening. So, when it comes to treating eye infections, are antibiotics always necessary? A common misconception is that antibiotics can be used to treat all infections. This is not true. Antibiotics specifically kill or stop the growth of bacteria, but they have no effect on viruses or fungi. Therefore, unless the eye infection is caused by bacteria, antibiotics will be useless. Conjunctivitis – one of the most common eye infections – is a prime example. Conjunctivitis refers to inflammation of the conjunctiva (the mucous membrane that lines the front of the eye and inside of the eyelids), which can be caused by bacterial or viral infection, allergy or injury. Not everyone with conjunctivitis can be treated with antibiotics. Only conjunctivitis caused by bacteria can be treated with antibiotics, viral and allergic conjunctivitis can’t. Similarly, only bacterial forms of keratitis (inflammation of the cornea at the front of the eye), blepharitis (inflammation of the eyelid) and other inflammatory and/or infectious eye conditions can be treated with antibiotics. So, how do I know if my eye infection is bacterial? The appearance of an eye infection can vary depending on the cause, so doctors will make a judgement about whether it looks bacterial or viral. For example, if pus is present with conjunctivitis, it’s more likely to be bacterial, whereas a viral infection will more commonly have a watery discharge. However, these are not hard and fast rules. To be sure of the cause, there are also lab tests that can determine the cause of an eye infection, but the results can take a few days. 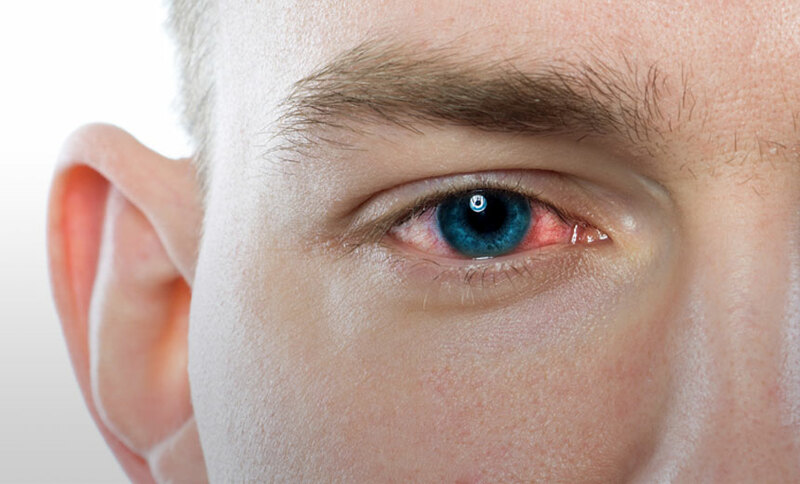 Many common eye infections, such as conjunctivitis, aren’t serious and will clear up on their own without treatment. Because of this, your doctor may suggest leaving the eye infection to see if it resolves before performing tests or starting treatment. Why not treat with antibiotics straight away? In the past, this was the approach that many doctors used for most infections. In fact, it was also common practice to treat with antibiotics to prevent infections (e.g. before surgery). But overuse of antibiotics has led to a serious public health issue where bacteria are becoming resistant to the drugs that are available. This is because the more that organisms are exposed to antibiotics, the more likely it is that some will mutate so that they can survive the attack by the drug. These drug-resistant superbugs are highly dangerous because they can cause deadly infections. Due to the increasing issue of antibiotic resistance, doctors now try to avoid unnecessary use of antibiotics. This includes making sure that the cause of an infection is bacterial before prescribing antibiotics, and not using antibiotics when the infection is mild and will resolve on its own. Of course, there will still be times when antibiotics can and should be used to treat eye infections to avoid vision loss. Whether or not antibiotics are needed to control your infection depends on the particular infection and severity, as well as your age, overall health and other considerations. Your doctor will explain whether antibiotics are right for you.